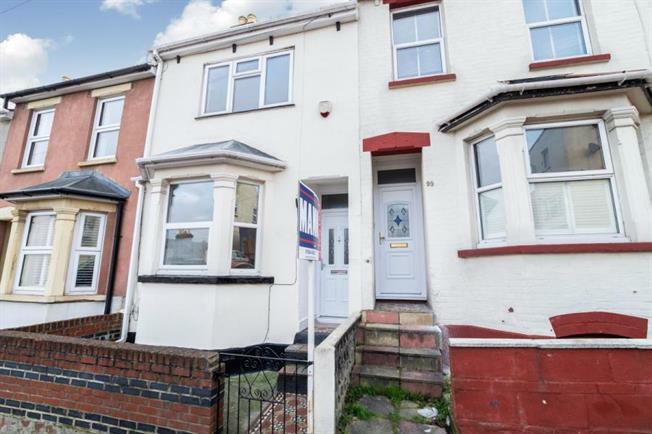 3 Bedroom Terraced House For Sale in Chatham for Offers in excess of £190,000. We are delighted to offer this well presented property which is chain free and will suit a growing family or investor. The home offers three double family size bedrooms on the first floor with brand new carpets laid on the stairs first floor landing and bedrooms. On the ground floor the two spacious reception rooms and hallway have varnished floor boards and the cellar is an easily accessible space for storage. The property is well situated for access to the town centre and is a .8 mile walk from Chatham railway station.